TAIPEI, TAIWAN, February 5, 2010 – BenQ, the world’s leading LED monitor brand, continues to expand their LED offering under the promise of providing the perfect LED display for every application, lifestyle, and budget with the launch today of 9 new V Series models spanning HD to Full HD, 18.5”W to 24”W, bringing the company’s total LED lineup to 23 models. 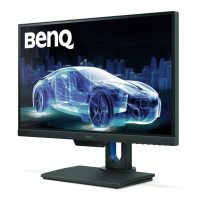 Distinguishing BenQ’s new V Series from the competition are class-leading slimness (14mm and 15mm^), extreme energy efficiency, and unbeatable dynamic contrast ratio (10M:1 DCR). Today’s sophisticated consumer will further be drawn to the V Series’ distinctiveness by exclusive and high-end characteristics, including Senseye® Human Vision Technology, HDMI 1.3^, eco-friendly engineering, headphone jack^, and globally-renowned iF award designation. Among these size segments, BenQ’s display expertise and progressive design philosophy enable these premium V models to dominate in thinness (14mm on the 18.5”W models; 15mm on all other models), energy efficiency 44%^ (lower power consumption), and DCR (unrivaled at 10M:1) Likewise, for Internet, work, or TV/video applications, all V displays surpass expectation by compounding the latest in LED backlighting technology with BenQ advancements. Bold, dynamic images rendered in razor-sharp, blur-free clarity testify to the monitors’ zero light leakage, ultra-extreme DCR, and prowess in displaying super bright whites, ultra-intense blacks, and near-infinite color variations on the 250-nit screens. Graphs, charts, and fonts are consequently clean and crisp; video is smooth and vivid; and endless hours of Internet surfing are comfortable on the eyes without strain, flicker, or fatigue. The V Series is further set apart by proprietary Senseye Human Vision Technology, which amplifies image richness, clarity, and depth, even for the darkest scenes. Senseye 3 six preset modes give users the luxury of one-touch optimization for the most popular applications: Game, Movie, sRGB, Standard, Photo, and Eco (ideal in darker settings, saving up to 65.6%^ energy consumption without compromising visuals). Additionally, Senseye perfects display by dynamically adjusting contrast, brightness, and backlighting to fit the viewing environment. Independent color management further adds dimension and realism to images by purifying and enhancing each hue without compromise to others. Today’s on-demand consumer will likewise appreciate the V Series’ ability to instantly display content when powered up, another benefit of LED over CCFL technology. DVI and D-Sub equip all models while HDMI 1.3 and headphone jack are available on models designated with an “H”. Displays having a “P” in the model name are glare panel. 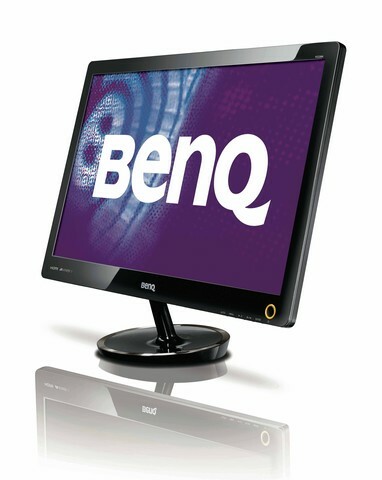 Inside and out, BenQ’s new V Series dazzles. Recently recognized by international design authorities with the iF 2010 award, the high-gloss svelte form of the V Series looks great for any lifestyle and in décor, while mercury-free engineering and environmental certifications (Energy STAR 5.0, RoHS, EuP, ) keep the Earth lookin’ great, too. The 18.5”W, 21.5”W, and 24”W models will debut February and March in Taiwan, followed by the 23”W in June. All models will then be available worldwide. For more information, please visit BenQ.com.